More than 10 years ago Sky triggered a qualitative growth and an innovation of the language of TV series. Its original productions – which started with “Romanzo criminale” – showed that it was possible to make a new kind of TV series in Italy. 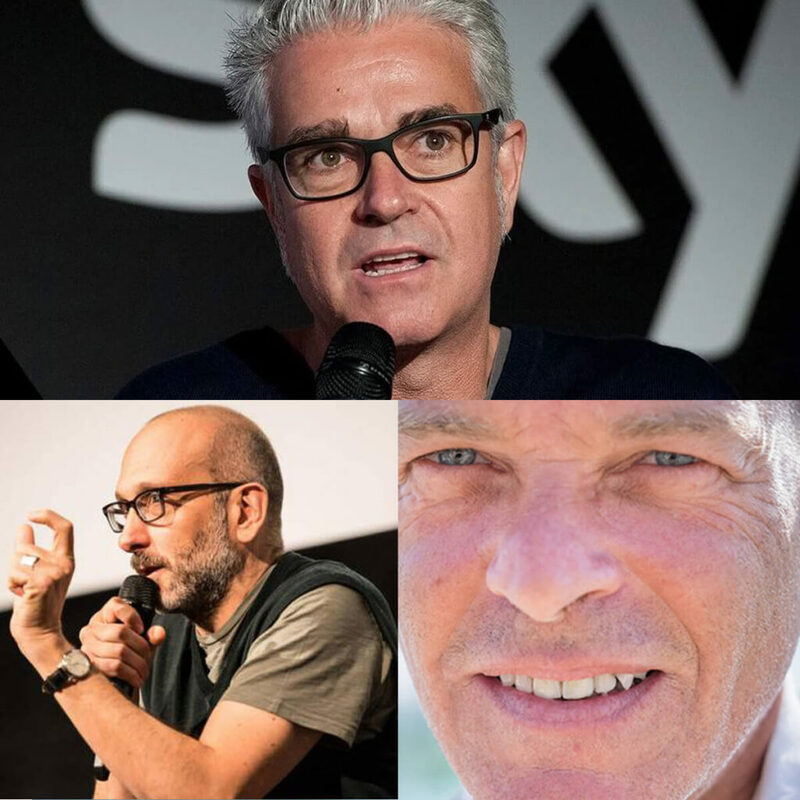 The Masterclass “Sky Original Series: The New Generation” will discuss all creative, editorial and methodological aspects during the selection and development process of original Sky productions, constantly looking for quality and original details to be competitive on the international stage. Nils Hartmann (director for original Sky Italy productions) will describe the editorial and productive approach and the strategy which lead Sky Italy’s decisions and determine the identity of Sky’s “originals”; Nicola Lusuardi will concentrate on the story editing process, namely the aesthetical and narrative definition of the project; Stefano Bises will describe the creative writing process which made the TV series “Gomorrah” become one of the first Italian series to have a great international success. Nils Hartmann, director for original Sky Italy productions, has been working for television productions for 28 years. In 2003 he started to work at Sky Italy as Creative Director. He later became director for original productions and responsible for the entire scripted and unscripted division. He produced for Sky international several successful TV series, such as “Romanzo Criminale” (Criminal Novel), “Gomorrah”, “The Young Pope” (together with the Academy Award winner Paolo Sorrentino) and recently “Il Miracolo” (The Miracle), directed and conceived by Niccolò Ammaniti. Among the new original Sky series projects, currently in production, are “ZeroZeroZero”, directed by the showrunner and director Stefano Sollima, “Diavoli”, by the English director Nick Hurran, starring Patrick Dempsey and Alessandro Borghi, as well as the new seasons of Sky’s greatest successes: “1994”, “Gomorrah 4” and “The New Pope”, starring Jude Law and John Malkovich. Nils Hartmann is also the person in charge for the production of some of the most famous entertainment TV shows, such as “X Factor”, “Masterchef Italy” and “Italia’s Got Talent”. Stefano Bises is one of the most important screenwriters in Italy. After a 15-year experience as broadcast journalist, he started to dedicate himself full-time in screenwriting for network TV, auteur TV series and cinema. Some of his works are the Italian TV series: “La squadra”, “Distretto di polizia”, “RIS”, “Squadra antimafia”, “Questo nostro amore”, “È arrivata la felicità”, “La mafia uccide solo d’estate” and the films: “Contromano”, “La vita facile” and “L’ultimo padrino”. He worked with Sky Italy on the story and the screenplay for the TV series “Gomorrah”, which reached an international success and whose narrative language started a revolution in the Italian TV series scene. He also worked together with Niccolò Ammaniti on the screenplay for his series “Il Miracolo”. 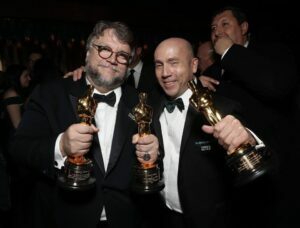 His future projects are “The New Pope”, directed by the Academy Award winner Paolo Sorrentino and “ZeroZeroZero” directed by the showrunner and director Stefano Sollima. Nicola Lusuardi is a screenwriter, story editor and creative producer. He worked on several series and mini-series for the most important Italian broadcasters. He gives lessons and masterclasses about dramaturgy in TV series in various European countries and coordinates many international training and development programs. Since 2011 he collaborates with Sky Italy as story editor and consultant for scouting and for the creation of original series.